On cool mornings, I look forward to a hot breakfast. 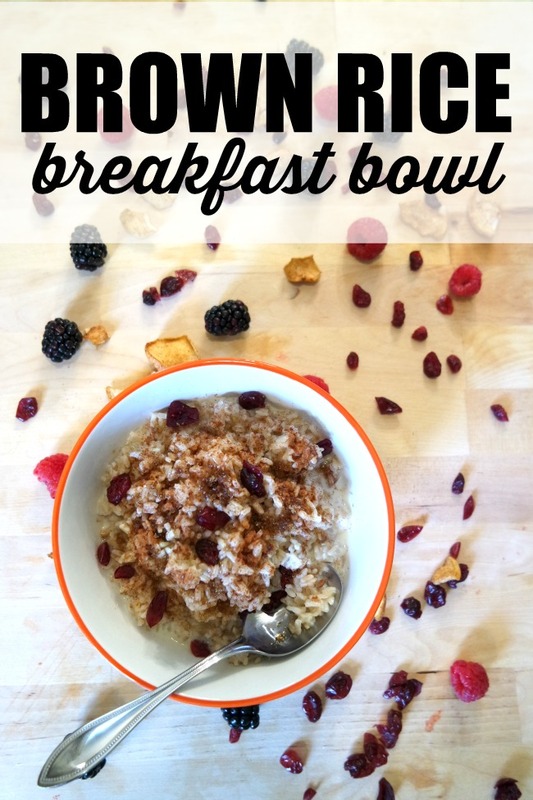 At our house, that means brown rice breakfast bowls for everyone. I like a little brown sugar, cinnamon and craisins. My daughter loves adding blackberries and nuts. My son swears that maple syrup and raisins are the way to go. And my husband just tosses in any fruit that we have with extra cinnamon. 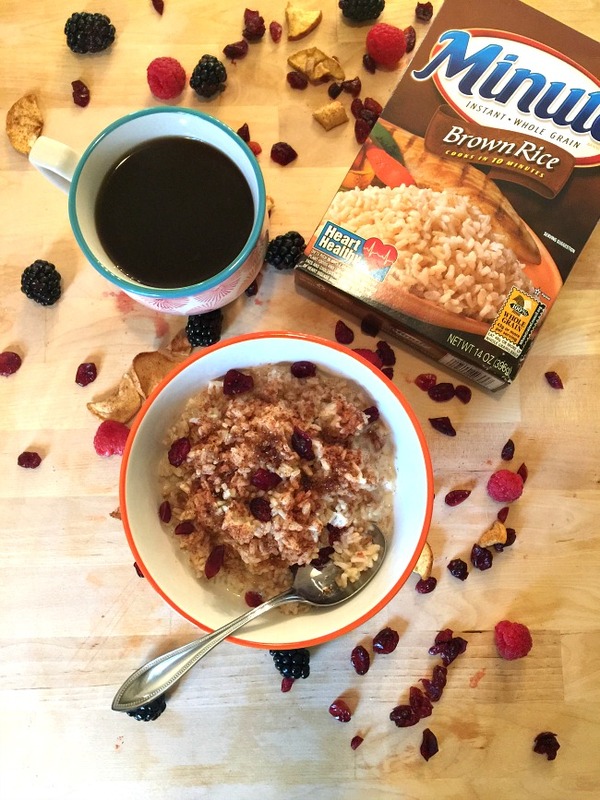 No matter how you top it, nothing beats starting your morning with a hearty brown rice bowl. Prepare the rice according to package instructions. 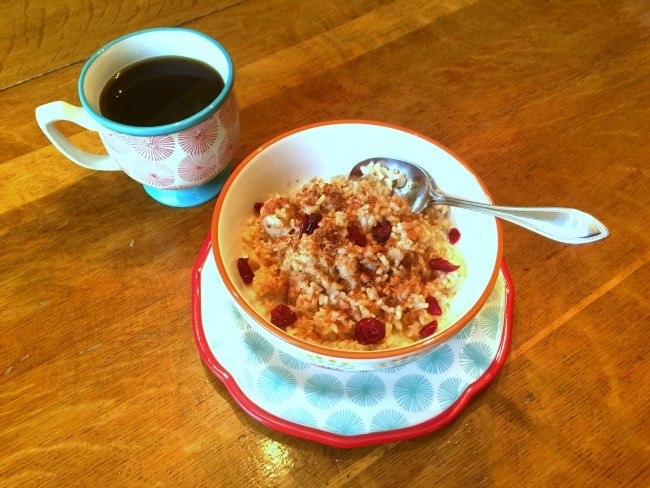 On busy mornings, we pop it in the microwave for breakfast in a flash. When I have a little more time (all it takes is 10 minutes on rangetop! ), we make it on the stove. Add heaping scoops of rice to each bowl. Add milk and your favorite toppings. 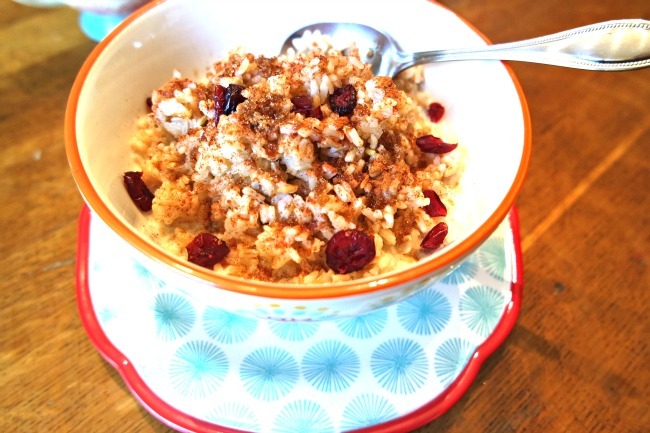 Naturally wholesome, with a rich nutty taste, Minute Rice makes our morning meal fast and hearty. In just 10 minutes, Minute Brown Rice can be a part of a wholesome diet and lifestyle. Eating wholesome meals just got a whole lot easier! Click here to find more recipes from Minute Rice.